Please welcome G.S. Denning back to The Qwillery. 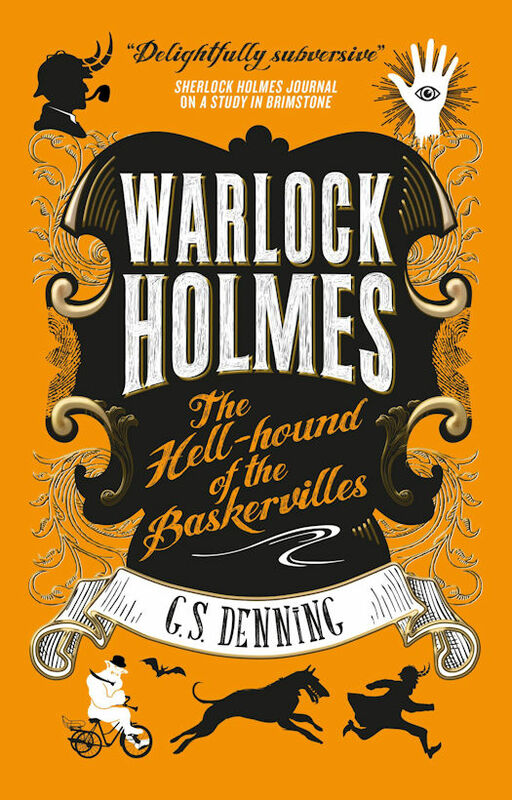 The Hell-Hound of the Baskervilles (Warlock Holmes 2) was published on May 16th by Titan Books. TQ: Welcome back to The Qwillery. 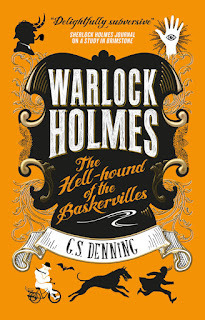 Your new novel, The Hell-Hound of the Baskervilles (Warlock Holmes 2), was published on May 16th. Has your writing process changed (or not) from when you wrote A Study in Brimstone (2016) to The Hell-Hound of the Baskervilles? TQ: What do you wish that you knew about book publishing when A Study in Brimstone came out that you know now? G.S. : The podcast “Writing Excuses” taught me a lot. Traditional publishing is slow. Be ready, fellow authors. Nothing happens quickly except deadlines. Yet, I’ve learned to be exceedingly grateful that I went the traditional publishing route. I can go see my books, in book-stores and I didn’t have to drive them there and brow-beat the proprietors into carrying them. There’s an audiobook version and I didn’t have to call all the audio companies and beg. As much as people complain about how slow traditional publishing is and how small the per-book percentage that goes to the author, I know perfectly well that I could never, never, never have gotten Warlock this far on my own. Thanks to the whole team! TQ: Tell us something about The Hell-Hound of the Baskervilles that is not found in the book description. G.S. : Part of it was a writing challenge to myself: write an origin story where the reader doesn’t realize they’re reading one. The book hasn’t been out long enough for me to find out if I’m really blindsiding people or they’re seeing through me. Time will tell. 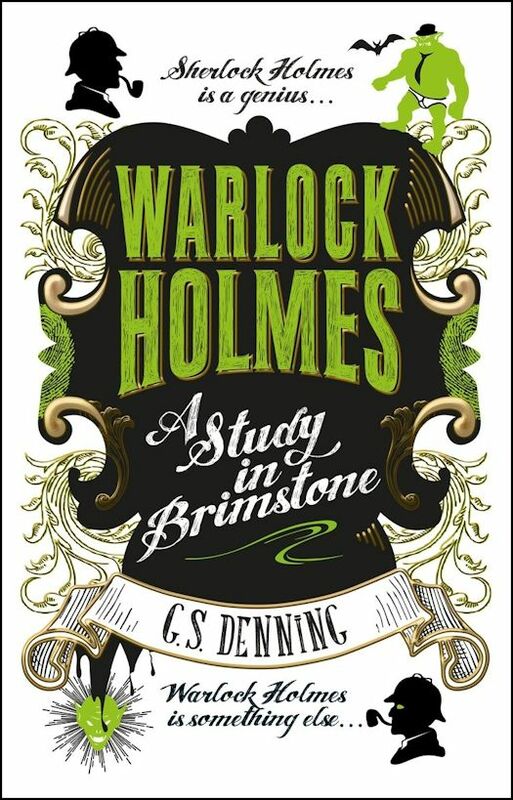 TQ: Which character in the Warlock Holmes series (so far) surprised you the most? Who has been the hardest character to write and why? G.S. : John Watson surprised me most. As I conceived this series, it was centered around the arcane wellspring that was Holmes. In a way, it still is. Yet every adventure is narrated by John. He filters all the wonder through this veneer of normalcy. He’s the everyman character—he’s an extension of how the reader would feel if they were thrust into a world of monsters. I’m surprised by how much of this story has become about John and what he thinks and feels as the story swirls on. As far as the hardest: the women. Most geek-readers, most Holmes fans and the bulk of my fan-base are women. But the original stories are from another age. Women are rarely important in the original stories—victims seeking protection, for the most part. Of course, there’s Irene Adler, who bests Holmes, but she is in only one of the 60 stories. I’m trying to build female characters we can relate to and root for. Read the descriptions of Violet Smith in book 2 and Violet Hunter in book 3 and you’ll see how much I’m trying to build in cos-play opportunity and (especially in Hunter’s case) fan-fic launch points. TQ: What do you think is the ongoing appeal of stories. etc. based on Sherlock Holmes? G.S. : Oh man, there’s a bunch. We love the odd-couple friendship of Holmes and Watson—how this super-powered individual needs a tie to normalcy (and that’s true of Warlock and Sherlock in equal measure). 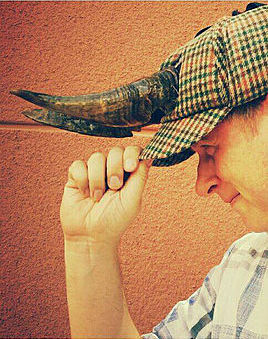 We love the pace of the stories and the chance to guess along and match our wits against the greatest detective. We love the language and the exotic-yet-familiar feel of Victorian London. We love the cloying promise that adventure and wonder hide in this everyday doldrum we inhabit. Some of us just like John’s moustache. As much as people can talk about how dated and out-of-touch the stories are, there’s a reason these things have stayed in print in over 150 countries and 125 years. TQ: Sherlock Holmes has appeared in 60 stories written by Sir Arthur Conan Doyle. 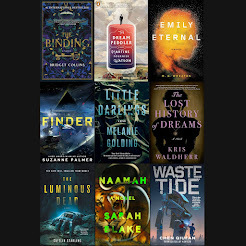 How do you pick which stories to use? G.S. : The horrifying-yet-wonderful thing is: if these books keep doing as well as they are now, I’ll eventually have to use all 60. I’m pacing myself so I don’t use all 4 novels too early (right now, book 3 hasn’t got one). I’ve been trying to start strong by using recognizable favorites like Study in Scarlet, Hound of the Baskervilles and Speckled Band. I chose Baskervilles as the second story I ever wrote, because –duh- there’s a hell-hound in it. 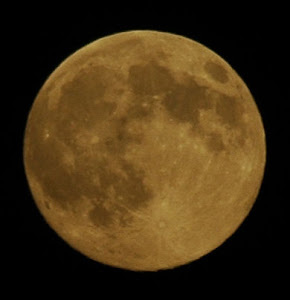 There was really no challenge introducing a supernatural element in to that particular story. Then again, I’m saving The Sussex Vampire, for the same reason. The real hard part is creating an overall arch for the stories—the tale of how Moriarty came back to power from near-ruin and tricked Holmes and Watson into destroying the world. Readers have been very patient with me in book 1 and 2, where the Moriarty element is more in the background. Spoiler-alert: he comes to the fore in book 3. TQ: Please give us one or two of your favorite non-spoilery quotes from The Hell-Hound of the Baskervilles. “No murder! Bad Horse! If you make a habit of it, I shall be cross with you!” –Warlock Holmes to Silver Blaze. “In a proof that small words can have great import, I am holding a copy of Two Gentlemen In Verona. By this author’s interpretation, Verona is a down-on-her luck servant girl who finds herself sandwiched—quite literally—between the affections of a country squire and a poor groom.” –John Watson presenting an inappropriate gift to Mrs. Hudson. “Aaaaaaaaaaiiieeah! Tears and wreck and wrack and ruin! The black one has returned! Prince of tatters! Prince of ash!” –Fasoul the Turk to… well… actually not Moriarty, but the person standing beside him. “You cannot assume an animal’s behavior, based entirely on its breed.” –Warlock Holmes’s questionable advice on pre-judging hell-hounds. G.S. : Book 3—My Grave Ritual—is underway and will be released May 15, 2018. 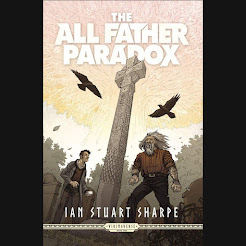 It features the return of Moriarty to Holmes and Watson’s world and the growing sense that if Watson keeps meddling in the world of monsters and gods, he’s certain to die. There’s *ahem* a bit more romance, as well. I’m realizing it would take between 8 and 9 books to finish the entire Holmes canon and I’m planning out my long-game. The Chekhov’s guns for both Holmes and Moriarty are already in place, but there’s a lot of maneuvering to be done before the final confrontation. We’ve had two nibbles already for adapting Warlock to the big-or-small screen. Nothing really in the works yet, but I’d love to see my Holmes and Watson take their place amongst the other filmed adaptations and I’m doing my best to keep the writing screen-friendly. G.S. : Are you kidding? Thanks for having me back. All authors ever want to do is drone on and on about their work and you’ve provided us with exactly that chance. You’re like super-heroes and therapists, all rolled into one. Before publishing Warlock Holmes, G.S. performed improv comedy for 20 years with Seattle Theatersports and Jet City Improv in Seattle, and SAC Comedy in Florida. He was a writer/performer for live shows at Disney's Epcot Center, wrote comedic reviews for Wizards of the Coast, and worked as a translation editor for Nintendo, ensuring that humor/context translated appropriately from Japanese to English video game scripts. G.S. is extremely knowledgeable about history and all things pertaining to the geekiverse. He now gives engaging and educational talks to schools, inspiring students to turn their love of comic books and video games into a creative career or enriching hobby. He speaks at conventions, teaching writers improv comedy techiques that will improve their storytelling. He loves chatting on podcasts and is a terribly friendly geek. He has The Best Wife and The Most Beautiful Children and lives in Las Vegas.